Series: Take It Off series - Note: the Take It Off series is a series of stand alones. Each book is its own story. 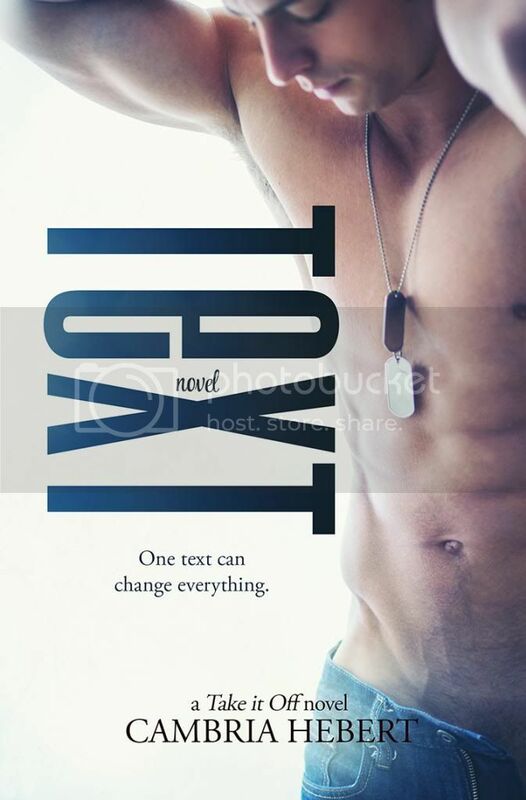 Genre: New adult contemporary - due to graphic language and sexual content this book is recommended for readers 18+. Honor Calhoun never thought her life would ever be like the books she writes for a living. One morning while out for a run, she learns not all bad things are plots in novels. Some horrors can actually come true. She faces off with a persistent attacker, holds her own, but in the end is taken hostage and thrown into a hole. In the middle of the woods. But Honor didn’t go down there alone. She took her kidnapper’s phone with her. With a spotty signal and a dying battery, her hope is slim. Nathan Reed is an active duty Marine stationed at a small reserve base in Pennsylvania. All he wants is a calm and uneventful duty station where he can forget the memories of his time in a war-torn country. But a single text changes everything. Nathan becomes Honor’s only hope for survival, and he has to go against the clock, push aside his past, and take on a mission for a girl he’s never met. 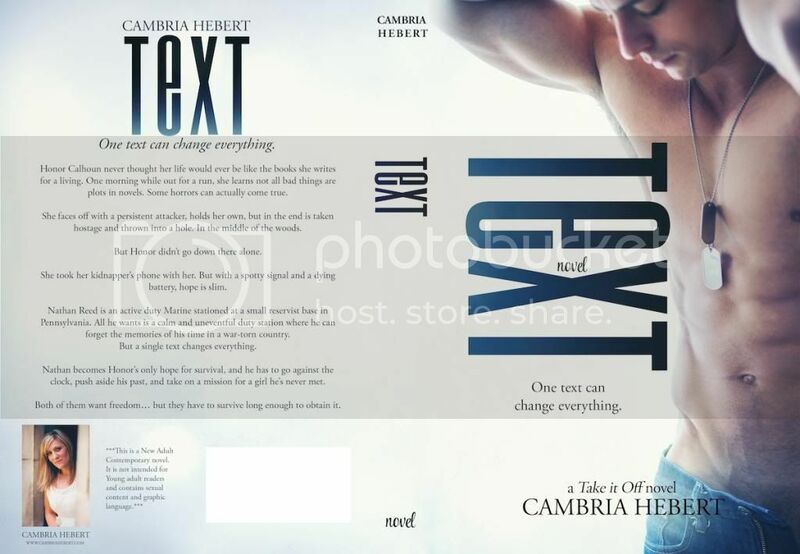 Xpresso Book Tours is organizing a book blitz for Text on November 8th. If you'd like to participate, click the link below to sign up!